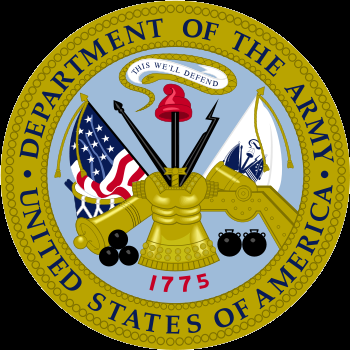 The U.S. Army Combined Arms Support Command (CASCOM) at Fort Lee, Virginia, organized in 1990, had its origins in a 1950 Project VISTA study, which among other recommendations, proposed that the Army set up a separate and independent command to formulate and test new concepts. With the establishment of the Combat Developments Group (CDG) within the Headquarters of the Office of the Chief of Army Field Forces in 1952, the Army began to evaluate the effects of scientific developments on Army doctrine, and also began evaluating development requirements for new weapons. Ten years later, in 1962, the Army activated the Combat Developments Command (CDC) at Fort Belvoir, Virginia, with responsibilities for integrating the Army’s research and development functions. In separate actions, the Army eliminated the technical service branch chiefs (though not the branches themselves) and functionalized them. In so doing, the Army for the first time integrated the development of tactics, doctrine and organization with the materiel designed to support them. Two subordinate elements were also created within the CDC, the Combat Service Support Group (CSSG) at Fort Lee, Virginia, and the Combined Arms Group at Fort Leavenworth, Kansas. Separate branch agencies, operating as tenants at bases where their respective schools were located, had responsibility for combat developments and doctrine. These included Quartermaster, Ordnance, Transportation, Adjutant General, Chaplain, Civil Affairs, Medical Service, and Military Police. Each branch school also maintained separate departments of combat developments and doctrinal expertise. The Judge Advocate General and Finance Schools were added in 1964, while Civil Affairs was transferred to the Combat Arms Group. In a 1966 reorganization, CSSG assumed responsibility for developing all support elements for the Army in the field. Five CSSG directorates were combined into three: Personnel and Administration; Program and Budget; and Doctrine, Organization, Materiel and Evaluation. The Finance and Adjutant General agencies were collocated with their respective schools and combined to form the Personnel and Administrative Services Agency, while the Quartermaster and Ordnance Agencies were re-designated the Supply and Maintenance Agencies, respectively. In 1969, the MP Agency was transferred to the Combat Support Group. CSSG became the Personnel and Logistics System Group (PALSG) in 1971, with few essential changes. With the creation of the Training and Doctrine Command (TRADOC)-- a new major Army command-- in March, 1973, the CDC and its two subordinate groups were disestablished, with much of its former mission being decentralized to the branch schools. Three lower level, major subordinate integrating centers were created within TRADOC: the Logistics Center (LOGC), which replaced PALSG at Fort Lee; the Combined Arms Center at Fort Leavenworth, and the Administrative Center at Fort Benjamin Harrison, Indiana. This reorganization also brought to an end the bureaucratic separation which had formerly existed between those responsible for combat developments and doctrine (within the agencies at each school) and the centers of combat developments and doctrinal expertise (within the branch schools). All such functions were now merged within the schools. Materiel development became a joint effort, with TRADOC as primary combat developer and the Army Materiel Command (AMC) as primary materiel developer. With the creation of the Logistics Center, responsibility for developing, testing, integrating and disseminating logistics concepts, doctrine and systems, the design of management systems, the control of management characteristics as they affected logistical support, the organization of logistics units, the career development of logistics personnel, and the conduct of exercises and command post exercises were all assumed by one organization within the Army. Training exercises, such as the Logistics Exercise (LOGEX) would continue to be a major activity at the Logistics Center over the next two decades. TRADOC instructed the Logistics Center to establish a mission capability in the area of force restructuring, the importance of which has continued down to the present time. In the early and mid-1980s, the technical service chiefs were "brought back" in the interests of improved branch direction and esprit when the technical services branches became part of the Army's new regimental system. Beginning in the mid-1980s, the position of Combat Service Support (CSS) was enhanced within TRADOC. CASCOM began this process by forming Forward Support Battalions which ended the ad hoc practice of assigning forward area support coordinators (FASCOS) to brigade combat teams. The success of this initiative led to the subsequent redesign of logistics support at the division and echelons above division level. The personal computer revolution led to dramatic changes in logistics communications and automation. In time, computer technology was applied to all logistics processes. In 1990, the integration center structure was terminated with the creation of two new subordinate “umbrella” commands within TRADOC. The Logistics Center at Fort Lee and the Soldier Support Center at Fort Benjamin Harrison merged to form the new Combined Arms Support Command (CASCOM) at Fort Lee. The Combined Arms Command (CAC) at Fort Leavenworth replaced the Combined Arms Center. The training functions of the Soldier Support Center and School subsequently moved to Fort Jackson, South Carolina, following closure of Fort Benjamin Harrison as a result of the 1990 Base Relocation and Closure (BRAC) process. Following Operation Desert Storm/Desert Shield in 1991, relations between CASCOM and the Army Materiel Command (AMC) became increasingly important as the Army strove to improve supply chain performance. Some CASCOM commanders went on to become commanders at AMC. In the early 1990s, multi-functional training for CSS officers was advanced by creation of the Combined Logistics Officers Advanced Course (CLOAC) at the Army's Logistics Management College (ALMC) at Fort Lee, which included three branch company command multifunctional leadership and staff preparation. In the fall of 1994, CASCOM was reorganized. The combat developments, doctrinal concepts, proponency, evaluation and standardization, and training developments functions at each branch school under CASCOM were for the most part centralized at Fort Lee. CASCOM headquarters was realigned, with three deputy commanding generals at CASCOM placed in charge of Combat Developments, Training Development, and Automation. The school brigades at CASCOM schools retained their command, control and teaching elements, focusing as before on branch-specific instruction. Some elements of the officer advanced course instruction were transferred from the CSS branch schools to ALMC at Fort Lee. By 2004, CASCOM’s horizons had been expanded to include Joint, Interagency and Multifunctional (JIM) concepts. The scope of the Functional Area (FA) 90 (multifunctional logistician) program was expanded and strengthened. Progress continues to take place within CASCOM and at Fort Lee. The challenges presented by the Army’s recent transformation initiative has greatly facilitated CASCOM’s ability to meet its mission objectives, which consist of developing logistics leaders, doctrine, organizations, training and material solutions, and sustaining a campaign quality Army with joint and expeditionary capabilities in war and peace. Federal budget and personnel constraints have periodically affected CASCOM, which nevertheless is continuing to serve TRADOC’s and the Army’s logistical requirements despite increasingly scarce resources. One result is that many of what were formerly branch-specific functions and directorates within CASCOM have in recent years been reorganized into Logistics-wide directorates. These changes have greatly improved CASCOM’s ability to more effectively meet the challenges imposed by the continuing Global War on Terror (GWOT). The recent establishment of a Logistics Officer Corps means that the Army will be better able to deploy officers who are multi functionally trained for key positions of responsibility at home and abroad. The Women’s Army Corps Museum at Fort McClellan, Alabama, which closed due to a 1998 Base Relocation and Closure (BRAC) process, reopened and relocated to the Women’s Army Museum in much expanded quarters at Fort Lee in May, 2001. The director of this new facility is the Army’s first female branch museum curator. It joins the Army Quartermaster Museum, which has been operating at Fort Lee since 1954. CASCOM, traditionally branch-focused and functionally oriented, began undergoing a transformation in 2005 to meet new logistical requirements. CASCOM became more multifunctional and flexible, able to develop more immediate solutions synchronized with greater effectiveness across the logistics spectrum. Logistics branch functions for training, materiel, force design and doctrine have been consolidated under two integrating elements, training and futures. The BRAC process approved by Congress in 2005 will result in enormous structural and organizational changes at Fort Lee over the next six to eight years. The Army Logistics Management College at Fort Lee has been making important adjustments and improvements in its curriculum, which will result in producing officer graduates who are better equipped to meet the Army’s changing requirements. New institutional facilities, to include a new and expanded library, have been built. The old ALMC will be physically transformed in the much expanded form of a larger and more comprehensive Army Logistics University (ALU) , to better equip and meet the continually growing education and training requirements of the Army’s logistics community. The Army’s Ordnance, Ordnance Munitions and Electronic Maintenance, and Transportation Schools relocated to Fort Lee in 2010. The Ordnance and Transportation Museums did not relocate. The Ordnance Museum will become the Ordnance Heritage and Training Center. The Transportation Museum remains at Fort Eustis. All of this relocation activity required construction of many new barracks, instructional and training facilities, family housing, streets and other amenities. Together with the Quartermaster School, which has been located at Fort Lee since 1941, the Transportatin School, the Ordnance School, the Soldier Support Institute, which is still based at Fort Jackson, South Carolina, and CASCOM, they will jointly constitute the Army’s Sustainment Center of Excellence (SCoE).